Tiffany Lee Bymaster, aka “CoachGlitter” is a seasoned professional makeup artist, wardrobe stylist, business mentor & educator based in Southern California with over 18 years working in fashion, runway, editorial, film, TV, print, commercial & video. She is also the creator of the online course & coaching program, Lights Camera Branding. Tiffany also works with Fitness Celebrity, Motivational Speaker, New York Times Best Selling Author and #1 Female in Direct Marketing, Chalene Johnson as her long time personal makeup artist and stylist. 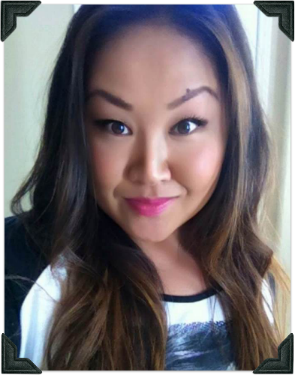 Tiffany has worked on Chalene’s #1 infomercial products, Turbo Jam and Turbo Fire as well as Chalean Extreme, Turbo Kick, PiYo, Hip Hop Hustle. Tiffany also works with Chalene on many of her personal development programs and speaking events. Tiffany is a multi-passionate creative entrepreneur who has translated her vast experience working behind the scenes on some of the most amazing production sets to teach online entrepreneurs how to UpLevel their personal and lifestyle brands through the power of video especially Live Video! Tiffany has a gift of breaking down the process and simplifying into actionable steps to help others identify their brand blueprint, uncover their gifts and most importantly, build their confidence on camera so that they can become a power house to grow their business! Tiffany has an eye for bringing out the very best in her clients & students to uncover their hidden gifts & talents. Tiffany believes that when you feel confident about yourself from the inside out, you have the power to go after anything and live the life of your dreams!